Grandma bought me a new rain jacket, along with all of the other girls. 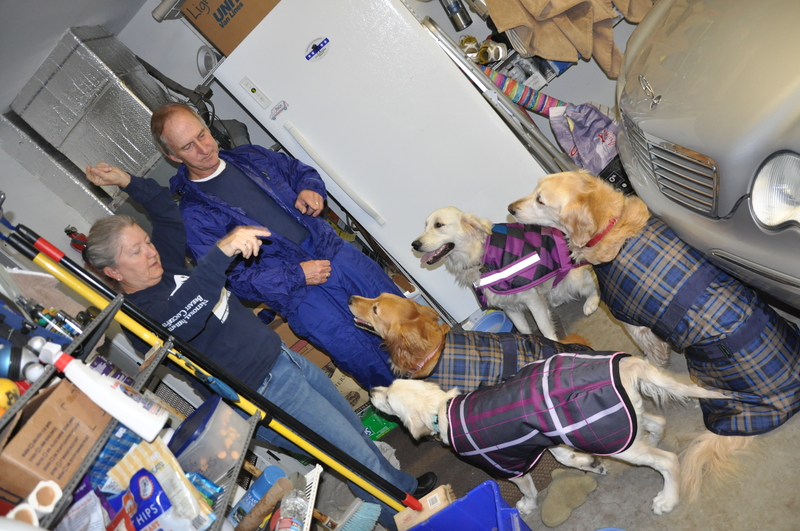 It’s the coldest winter we have had in a long time down here, so jackets are a must to keep dry. This one kind of makes us all look like a bunch of horses so it’s pretty funny. I stayed dry, however I did roll around in the sand a little bit.